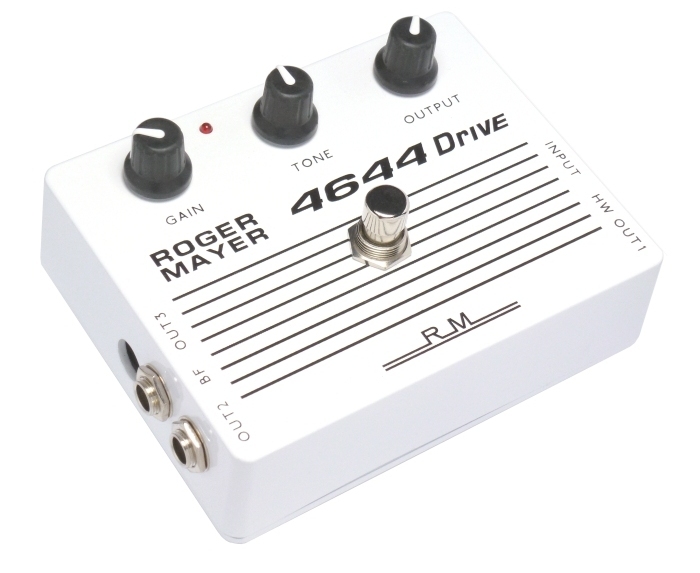 Roger Mayer Guitar Effects Pedals & Studio Electronics - Jimi Hendrix FX Guru - established 1964. 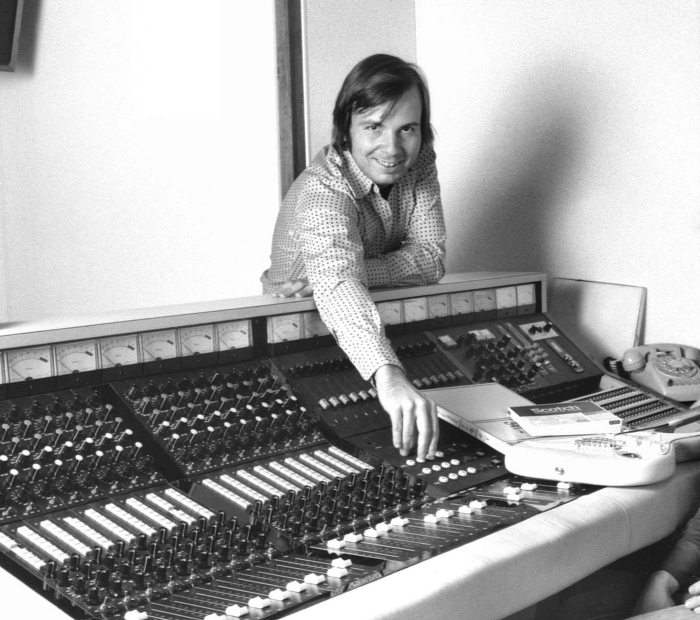 Since 1964 ROGER MAYER has been crafting icons of tone that have changed the sound of Rock and Studio Recording. When Rock & Blues luminaries Page and Hendrix needed new tones they called Roger. Recording Studio Electronic Designs quickly followed with many leading studios using RM Studio Recording Equipment products including RM 58 Limiter, RM 68 Noise Gates, Custom Recording Consoles for both Film and Studio work and in 2000 Roger was nominated for a Technical Grammy for his contribution to the Music Industry. The use of Primary Analogue Processing is still the "Holy Grail" when it comes to modern recording techniques and quality and of course was extensively used on all the landmark recordings up to the late 1970's. All CD's manufactured from these recordings were mastered from the original analogue tapes and are now considered as the benchmark for Audio Quality and Fidelity. There is no question that the CD Digital Recording Format is capable of producing excellent results and is used as the universal reference when comparing recordings so this part of the manufacturing chain is fine. Problems in Digital Mixing and Secondary Digital Processing occur through sampling and the enemy that is the pre-conversion anti-aliasing filter that can cause a myriad of errors with time smearing artefacts, latency and resolution. These irreversable changes in the digitally recorded tracks of Vocals, Drums and Percussion especially suffer with placement problems in the final mix. These are however greatly reduced with an analogue source from a tape recording or today by using our ground breaking 456HD® High Speed Analogue Tape Simulation Process which has received rave reviews from top industry ears and has been in use since 2014. The latest Roger Daltrey , The Manic Street Preachers and Magpie Salute albums releases all used 456HD® processing and RM Mic-Pre Amplifier in recording and mixing. Secondary Digital Processing after digital conversion inherit the sampling errors and lack of bandwidth created by the anti-aliasing filter. In reality you are processing after the fact in low resolution and it ultimately becomes a waste of time. It is like attempting to create the viewing experience of seeing the original Mona Lisa in the flesh from a "low resolution" colour print using modern digital photo manipulation. You will obtain optimum digital recording results and save a lot of time any money by initially using PAP HD© Techniques to capture the information correctly at source rather than try and correct badly recorded tracks at a later time during post production using a DAW box. Detail can now be optimally recorded using an analogue signal chain with a proven heritage. Live recording with no latency, ease of manipulation all will help to create a successful track quickly without stress thus preserving that magic creative moment using our range of PAP HD© products. With over 50 years of experience and a dedication to only produce the best possible analogue solutions for audio recording and processing we at Roger Mayer are proud to carry on this legacy of moving constantly forward to set new standards in performance. Each of our products has the DNA from our previous designs and incorporates the wealth of knowledge and experience from our ambassadors in the industry. 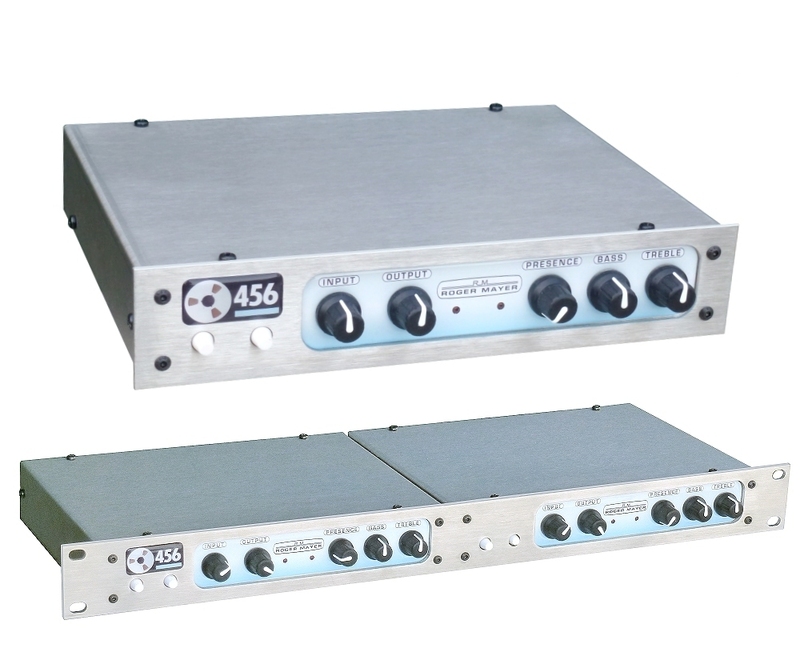 The Brand New 456 Microphone Pre-Amplifier is a true stand alone one stop solution for analogue recording with a recording chain having a history going back to 1968 and complimented with our ground breaking 456HD® Analogue Solid State Tape Simulation. This enables the sonic qualities of the great landmark golden era recordings to be recreated today using modern recording techniques. Our latest Analogue Dynamic Processing Devices the 456HD® and the Brand New 615 smooth continue our forward thinking by pioneering ultra high speed advanced analogue processing to be used both in live performance and studio recording. The 456HD® and 615 smooth will enable the quality and tone from "Glory Days of Rock" to be recreated with ease and in fact until you have used them in studio recordings you cannot imagine how much time you will save both in mixing and tracking to get those elusive drum and guitar tones. Post Production tasks become easier too so step up to future and take a listen to our samples. So be assured we are not sitting back and only producing only our 40 year old pedal designs and are fast moving: "FORWARD EVER BACKWARDS NEVER" intoducing over 10 new designs in the last 2 years. Whatever your application- Rock, Blues, Jazz, Country,Folk, Classical, Funk or Metal there will be a unique product to enhance and bring your tone vision to life both in performance and recording situations. In the modern recording environment it is increasing popular to use direct methods of recording. The first step is to use the best possible sounding DI that adds no artefacts and is as transparent as possible. Our unique no compromise innovative design features triple shielding from a 6 layer PC Card and uses only the best quality components available and is 100% Handbuilt in the U.K. The D1 Box incorporates our pioneering custom ultra wide band transformers that are hand wound and tested in house by Roger. These are exactly to the same performance and design standards that are also used in our new studio recording products. 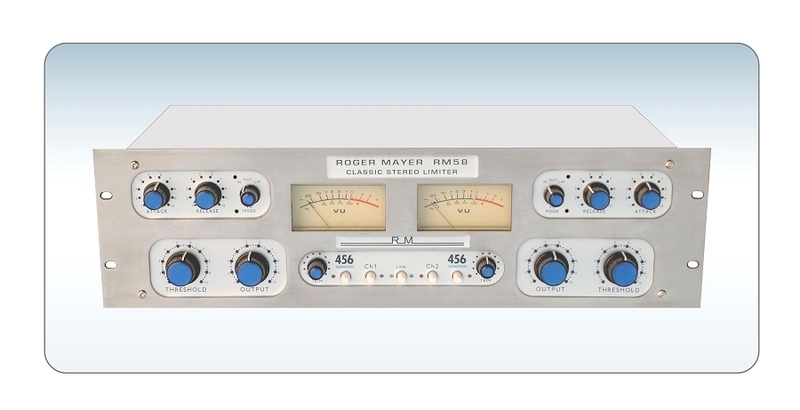 The RM 57 and RM 58 Stereo Limiters were and still are regarded today by many leading producers as a Holy Grail piece of vintage analogue equipment and were manufactured in New York by Roger Mayer Electronics Inc. 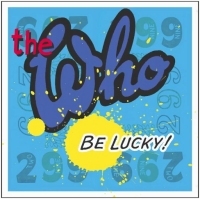 They have a 50 year studio history and heritage of being used on many hit records since their introduction. From Olympic studios in London famous for the Rolling Stones recordings and of course Jimi Hendrix's iconic "Axis Bold as Love" to New York's Record Plant, Electric Lady, Atlantic Records, Columbia Records, Hit Factory, Media Sound, Elektra Records, Vanguard Records, Mayfair Studios, A&R Studios the unique and musical properties of the RM 57 and 58 became a go to choice for producers who needed an alternative more dynamic sounding limiter than the traditional radio station type of limiter that were in use. Technically the design was very advanced and today the the new Classic RM 58 performance still stands out and compares very favourably to newer designs. It is more open and dynamic sounding than many of the old type of of Limiters So take time out to listen to our latest Classic version of a truly important piece of audio equipment with an impeccable heritage and history. One stop modern unique solution for pristine analogue recording. Interfaces seamlessly with all A to D converters in use today. Ultra Linear High Speed Class A discrete pre-amplifiers with a proven award winning track record since 1968 pioneering the golden era of the recording industry . Transformer fully balanced hand wound ferrite transformers produced in our UK workshop with ultimate phase and linearity over a very wide bandwidth exceeding 80Khz. 456HD® High speed analogue dynamic process can be switched In and Out to instantly hear the effect of the tape simulation properties. These are based upon and derived from a perfectly lined up Studer A80 with 456 Tape without any of the problems associated with old mechanical tape recorders that were temperamental at the best of times and required dedicated in house technicians to maintain them daily at great expense. * 45 STUDIO VARIATIONS OF THE GENUINE SOUNDS USED. The ultra high speed analogue processing will effectively improve the dynamics both when using it as a pre-recording analogue processor before a conventional DAW and also in post playback from the DAW. Live recording or tracking using multiple instances of the 456HD® are very beneficial for Drum, Vocal and Instruments and in many instances obviate the need for further limiting to control input levels. What the 456HD® Process brings to the table cannot be duplicated by any digital plug-in because all of the difficult ultra high speed control of the source signal has been taken care of by using the 456HD® so the Digital Recording simply put sounds much better. So as they say give it a listen.